Rhino Filters are constructed from Australian-mined RC412 carbon, the purest activated carbon in the world. It is then tightly packed and sealed into a high-efficiency airflow cylinder with a vortex cone in the base and a custom pore surface that is ultra-effective at scrubbing pollutants from the air. 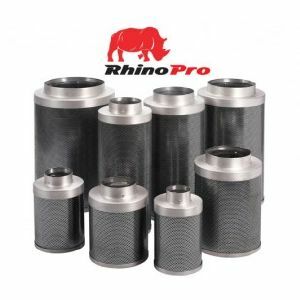 The high-porosity carbon and lightweight aluminium make the Rhino filter smaller and easier to handle than competing filters.